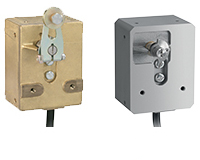 Crouzet has been involved in the nuclear industry for 40 years, and offers a range of special limit switches designed to detect positions and switch high or low currents in the most severe conditions. Crouzet’s switches work in various applications inside and outside the reactor building. 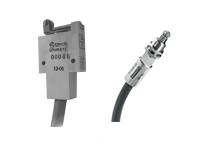 These safety critical components, are qualified according to RCCE, IEEE/KBE, and other international qualification standard for AG, K1, K2, K3 AD, K3 ATEX, K3 levels, ATEX and IECEx, as well as by EDF, the leading French electricity operator. Crouzet’ products comply with the standards and certifications established by national and international bodies. The family of 8399 Ex limit switches have been developed and ATEX/IECEx certified for use in potentially explosive atmospheres. 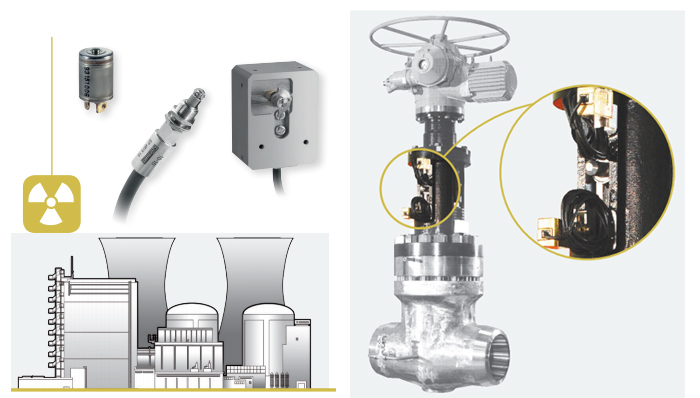 Regardless of the type of operation used, some valves are equipped with a positioning unit that is used to display the open/closed state of the valve and send this information electrically to its actuator control, and also to perform supervisory functions. It is therefore necessary to have very precise detection. 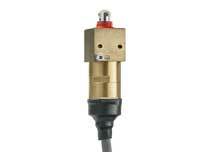 The switching directly effects the kinematics of the valve, and thus the flow of the fluid. 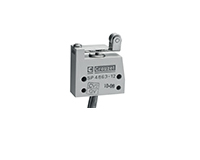 Our limit switches are comprised of a hermetically sealed microswitch (83151) which combines a snap-action switching system with a high degree of resistance to shock and vibration.